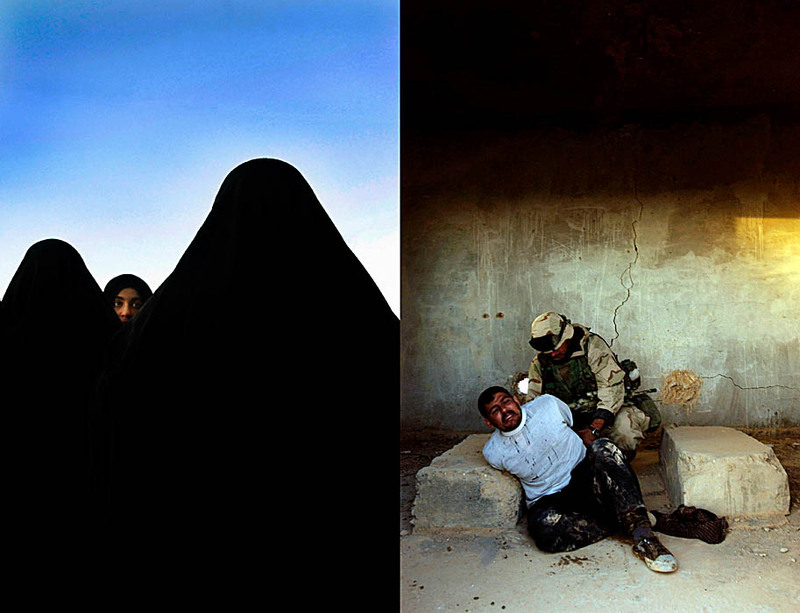 Left: Iraqi Shia women watch as the male faithful flagellate themselves during a massive pilgrimage to Karbala. After the fall of former Iraqi President Saddam Hussein, Iraqi Shia made a mass pilgrimage to the holy city of Karbala for the first time in 25 years. Right: An Iraqi man pleads for his freedom as he is restrained following his arrest on a rural road recently secured by soldiers with the 101st Airborne Division.